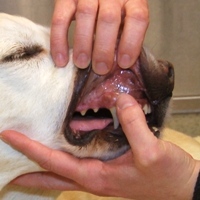 Megan Brashear, CVT, VTS(ECC), discusses using dexmedetomidine (Dexdomitor®) on a cat during a laceration repair, and the specific effects on the patient, reversal of the drug, and patient monitoring involved. Are there particular cases you would advise not to use Dexdomitor in? 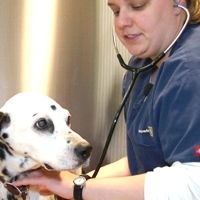 Hi Megan, there are certain cases where we would not want to use dexmedetomidine for it's sedative properties - mainly our unstable critical cases. Any patient that is not stable (meaning blood pressure, heart rate, perfusion) prior to sedation/anesthesia does not get dexmedetomidine. We use it mostly on the ER side for quick laceration repairs and other minor procedures. That being said, we do use micro doses for analgesia in some of our critical patients and it works wonders! I am wondering, do you prefer to give Dexdomitor IM as opposed to IV, and if so, what are the differences that you see in the effects? At my hospital, there are a couple doctors that use Dexdomitor regularly, and they all prefer to give it IV because of the faster onset. 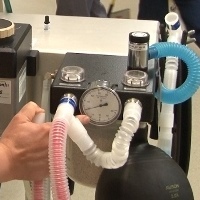 I've assisted in a couple Dexdomitor procedures where it was given IM, and the patients experienced a paradoxical reaction and became hyperstimulated, perhaps because the Dexdomitor took longer to take effect and the patients were frightened by gradually becoming drowsy and tried to fight it. Any insight would be appreciated. Julie Ann, I apologize for the delay of time in answering. In my experience, more important than the route of giving dexdomitor, is the amount of time given to the patient to allow them to get to that deep plane of sedation. Even when we give the drug IV if we do not wait long enough the patient is hyper-reactive and they may fight the procedure. When given IM, just give the patient TIME to get into the right plane of sedation for the procedure before stimulating them. I will often cover their eyes and ears with a towel (if possible) to reduce stimulation. Chris, we are lucky here at DoveLewis to have 3 multiparameter anesthesia monitors so we can place all sedated and anesthetized patients on them. I too like to see an ECG, Sp02 and BP at minimum on sedated or anesthetized patients. Especially with dexmedetomidine, I will also use pulses and other perfusion parameters to monitor as well. As much as I love our SurgiVet, it can never take the place of an alert technician! Do you know how to do the calculations for dexdomitor and antisedan? I know they provide dosing charts but I have to show my calculations for an assignment and am having a hard time figuring it out...any help is appreciated ! I was able to check in with one of our technicians here about your question. For Dexdomitor, it depends on the size of the patient and what the drug is being administered for (i.e. sedation or surgery). This also goes for antisedan, which is usually administered at the same dose as Dexdomitor (for example if 1ml IV of dexmed is given, 1ml of Antisedan IM would be administered for reversal). You can follow this link, https://www.zoetisus.com/products/pages/dexdomitor/index.asp, where you can print out PDFs showing the dosage in relation to body weight. Please let me know if I can answer any further questions!